Paul is a commercial mediator registered with the Scottish Mediation Network having completed the LLM Legal Masters degree in Mediation, Negotiation and Conflict Resolution at the University of Strathclyde, taught by the mediation pioneer, Charlie Irvine. 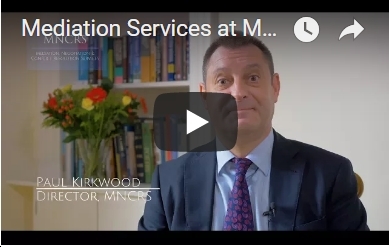 He now runs MNCRS – Mediation, Negotiation and Conflict Resolution Services. He is also a solicitor, formerly a litigation partner at the law firms Thompsons-Scotland and Lawford Kidd solicitors, he had over 24 years’ experience in private practice, dealing with thousands of litigated cases. He has significant experience in commercial business disputes, employment/workplace disputes, partnership disputes, personal injury disputes, professional negligence disputes and education law disputes. Paul’s style is direct, frank, pragmatic and realistic. He believes it is important to help parties realise the strengths and weaknesses of their respective cases, and this is done in private caucus to maintain parties’ confidentiality, trust and respect. He exhorts parties to keep on keeping on-in order to reach a mutually acceptable resolution. Contact Paul to discuss any issue by email or on 07788101280 or to view Paul’s experience in more detail on his LinkedIn profile. Paul is accredited by the Law Society of Scotland as a Commercial Mediator under their Specialist Accreditation Scheme. 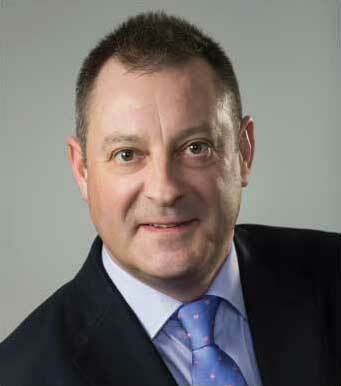 He is currently one of only five solicitors in Scotland with this specialist accolade. What makes Paul unique is that he is the only LSS Accredited Mediator who does not work for a firm of solicitors – operating solely as an independent Commercial Mediator. This means that he has the advantage of always being able to mediate without facing any potential conflict of interest. Paul tutors on the Mediation Elective Course on the post graduate Diploma of Legal Practice at Edinburgh University. He is pleased that the next generation of lawyers has good access to learning about how Commercial Mediation works in reality and says that lawyers will develop better negotiating skills as a result. Paul is a qualified member of the Scottish Mediation Network and on it’s panel of registered mediators, click here to view his profile. He contributes to Collaborate, the Network’s in house journal and has recently written about mediation in Personal Injury cases and how it works and about the introduction of the Mediation Act 2017 in the Republic of Ireland and whether it should be replicated in Scotland. You can read these articles on Paul’s Mediation Blog and in Collaborate. There are a variety of interesting video’s that Paul has recorded on relevant issues which can be viewed on his YouTube channel – Video Production by Illuminate Video these are updated periodically so don’t forget to subscribe for updates. Mediation saves years of waiting. Injured people tell their story; get it off their chests, so they can move on. They are in control of whether to settle or not - their case isn’t settled by a judge, but by them!